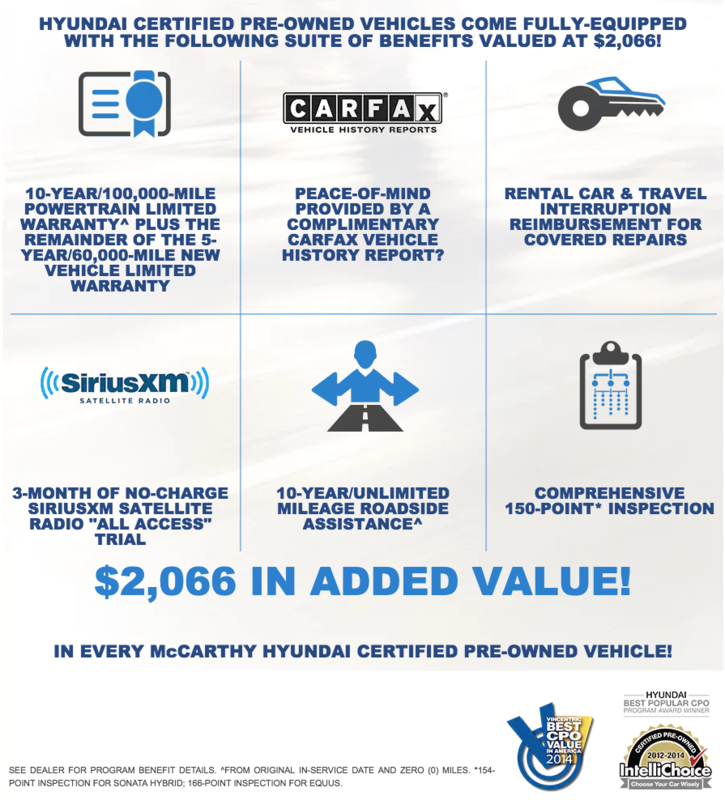 McCarthy Hyundai CPO Vehicles come with a manufacturer's warranty, are high quality, and in like-new condition. They are also put through a 150-point* standard inspection by technicians at our Hyundai dealership that have been specified by Hyundai Motor America. This means there is less to worry about now and down the road!